Our motorised canal boat, the Thomas Telford, carries you through the exquisite Vale of Llangollen and across the famous Pontcysyllte Aqueduct, whose creator our vessel is named after. Trips run daily at 12.15pm and 1.45pm. Built between 1795 and 1805, the impressive structure stands out from its surroundings and yet somehow complements the landscape perfectly, making it a site that simply has to be seen up close. This is the country's highest navigable aqueduct, towering 126ft (38m) above the River Dee and supported by 18 stone piers. The canal runs through an iron trough 1007 feet (306.9 metres) long, 11 feet 10 inches (3.6 metres) wide and 5 feet 3 inches (1.6 metres) deep. Clear water is fed from the River Dee at the Horseshoe Falls near Llangollen. These trips run daily between mid March and end of October and at weekends and selected midweek days in November, December and February. and light lunches can be served if ordered in advance. Enjoy a 2 hour single journey from Froncysyllte to Llangollen Wharf with a courtesy coach taking you from our designated bus stop at the bottom of Wharf Hill to Froncysyllte. Your cruise then starts with a crossing of the mighty Pontcysyllte Aqueduct aboard our canal boat, the Thomas Telford. After that unique excitement, relax and enjoy the most beautiful canal in Great Britain and the natural scenery of the Dee Valley, which has recently been awarded World Heritage Status.A fully stocked bar offers any drinks you require to make your voyage complete and we can serve Welsh Cream Teas if ordered in advance. Meanwhile, a live commentary will point out places of interest and give you any historical facts worthy of note. You then arrive in the busy yet picturesque town of Llangollen two hours after the start of your trip.Please check in at the wharf 15 minutes before the scheduled start of your trip. Motorised canal boat trips on the Thomas Telford run twice every day throughout the season, the first trip at 12:15pm from Llangollen Wharf, and the second at 2pm. Please check in at the wharf 15 minutes before your scheduled departure time. Trips will be released for booking two weeks before the operating date. Our charming motor boat, the Thomas Telford, can be chartered for groups of 20-52 people for a 2-hour trip, usually at 12:15pm or 2:30pm. We can provide light meals and Welsh Cream Teas, which are freshly prepared in our Tea Room and served on board just prior to departure. We can also serve a selection of teas, coffees and other refreshments from our fully stocked bar. 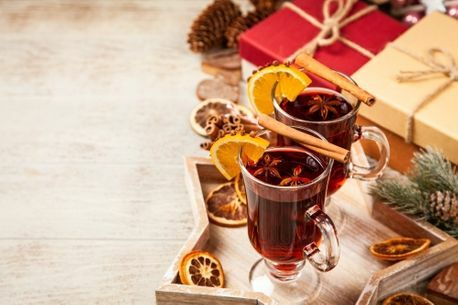 Available throughout November and December, Mulled Wine Specials operate to the same timetable and itinerary as our normal aqueduct trips but include a free glass of mulled wine and a homemade mince pie.